Good day! Hope you are bright with happiness! When the summer days are melting you, we present to you the place where you can dissolve your heat and exhaustion, the place where seas meet land and dance to the music of ocean currents. 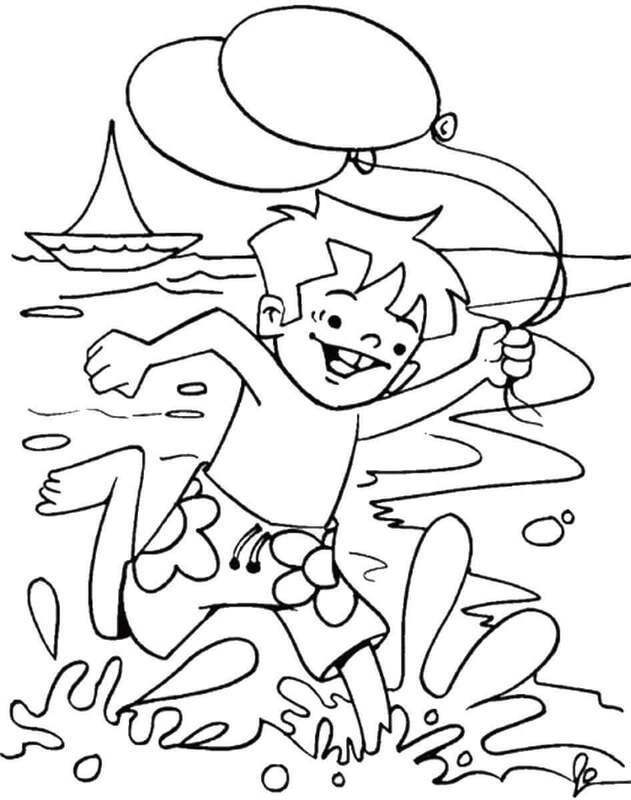 Yes, we present you the beach coloring pages printable. A beach is a landform alongside a sea or ocean mostly covered with sand or other rocks. Especially in summers, beaches attract large crowds as they offer the natural refreshment by the day and party atmosphere by night. Many countries rely on the tourists attracted by these beaches for their foreign exchange. Sunny yet cool, there are many reasons to relish a beach visit. 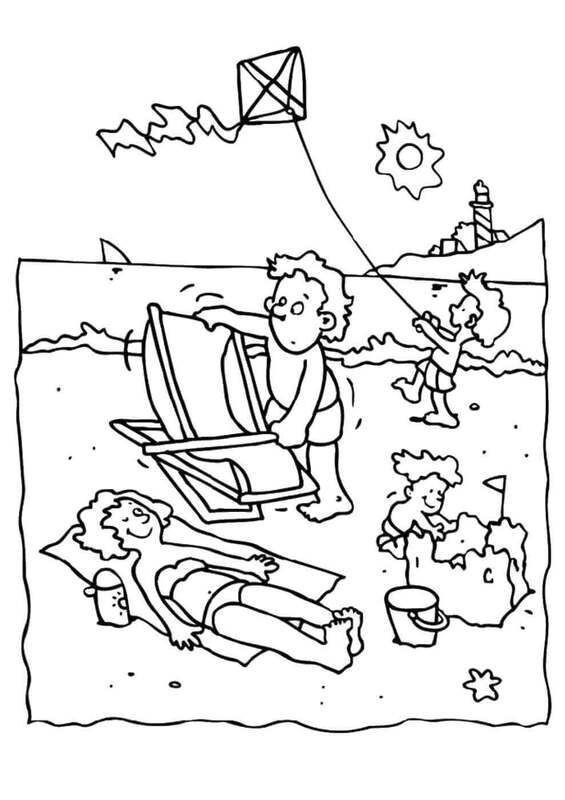 Let’s take a look at some beach coloring sheets below. Most of the people just lie under the sun to relax or tan their skin. This is a beautiful way to enjoy the beach especially when you are tired of your journey to the beach. The music and exotic juice add to the refreshment. Color the scene with all fresh shades! 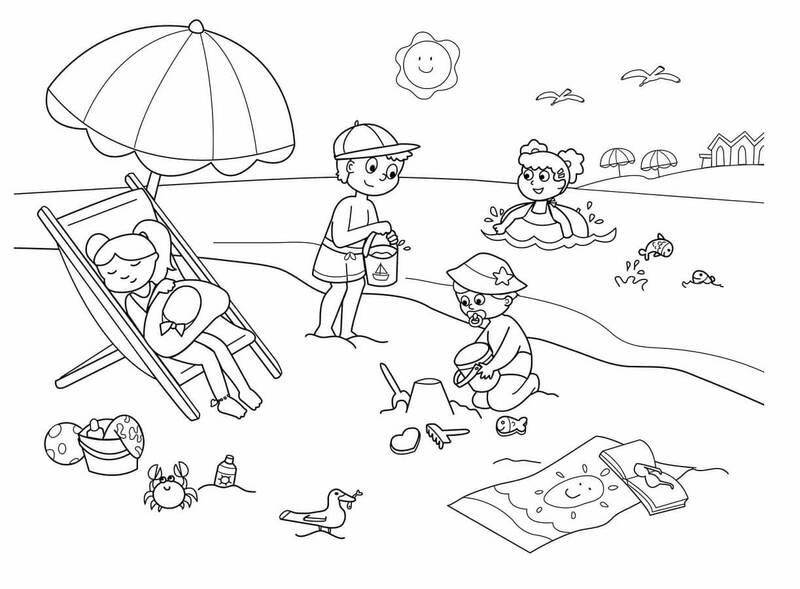 Kids love beaches as the water, and soft sand helps them have much-needed fun. Kids can float, swim, watch the fish, build sand castles, or simply lie down in the shade. Are not these kids looking happy? Fill them up with joyous colors! 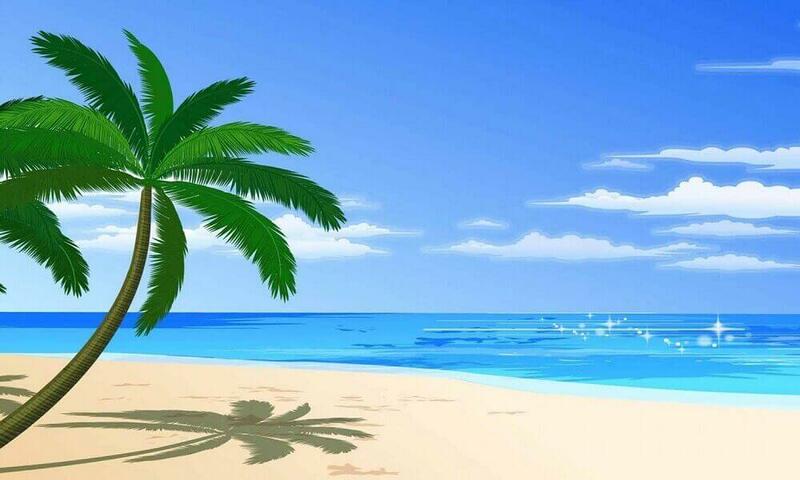 Palms and coconut trees are abundant on sandy beaches. The tides deposit whatever is suspended in the waters. They seemed to have deposit starfish here. Do you know starfish live in shallow waters around the coral reefs! Maybe there is a reef nearby. How should this scene look? Color and show! Some tourists come from very cold places so that the sun can be too hot for them. The cool breezes feel pleasantly warm to them. So they prefer relaxing in the shade. Here, Flynn’s father is erecting an umbrella for the shade. Flynn is learning. Maybe on their next visit, he will erect it. Lucy and Luke are playing along with the beach with a ball. At a distance, someone is sailing a yacht. Some beaches are famous for their soft sands. Even if someone falls on it, it won’t hurt. Just be careful not to fall on shells or crabs! Here we see two surfboards. Surfing is one of the most famous surfaces water sports. Riding the sea waves is thrilling as well as challenging. You need to be strong and brave to be able to surf confidently. And you should know how to swim. So color the boards in vibrant shades! Alvin, Andrew, and Asher Theodore are triplets that share the same love for the beach. 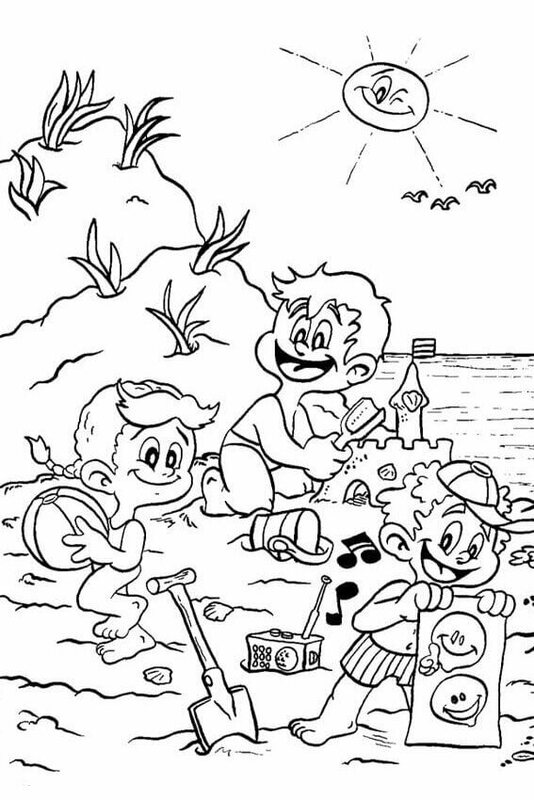 Alvin loves building castles, Andrew loves playing beach volleyball, and Asher loves walking and jumping in the waves. What would you do on the beach? Some kids just dig the sand or build mounds of it. Sometimes they get the surprise of many shells or shock of a crab! Sea brings along the shore anything it has. 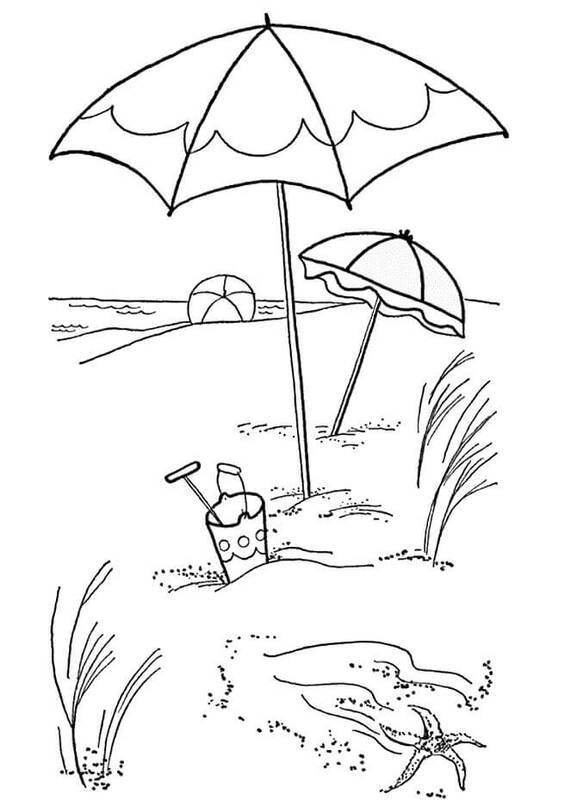 So don’t be surprised to find a bottle under the sand. What will these tourists find? 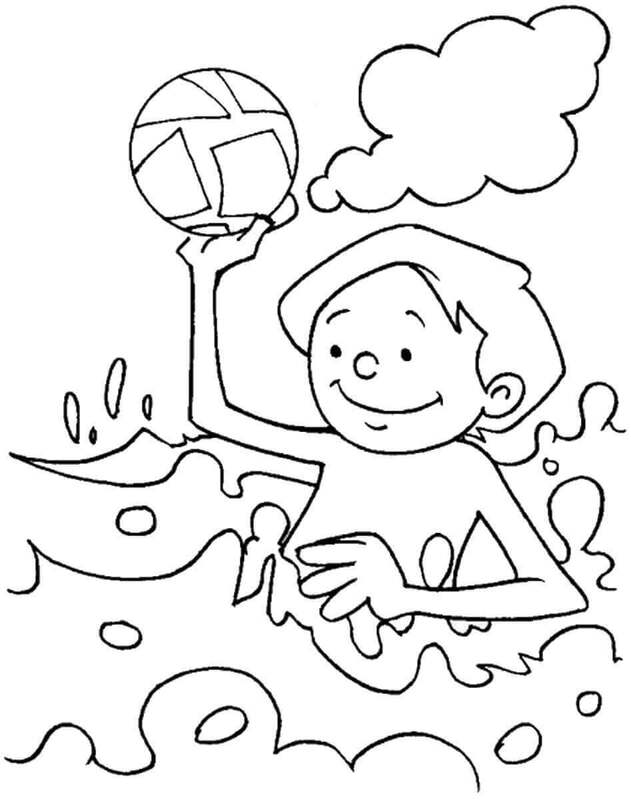 Color this picture up! Everyone can enjoy their time in the beach. 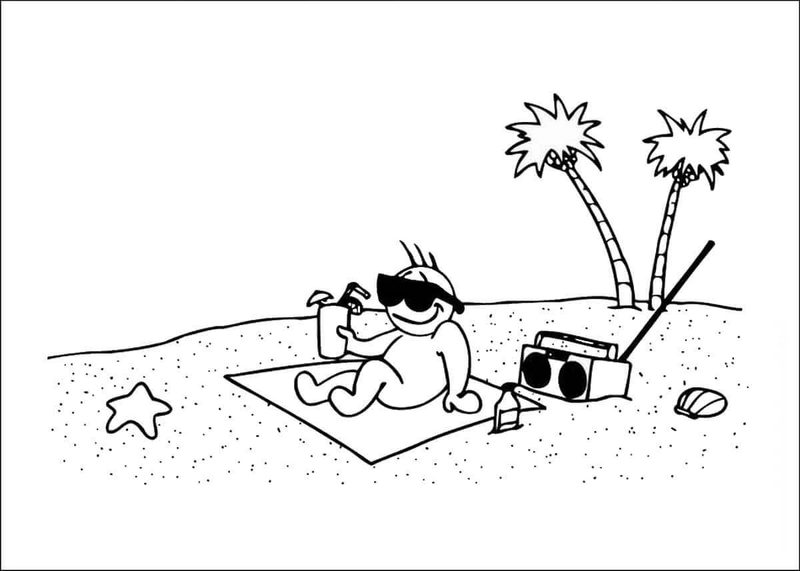 Here, Owen is out on his family vacation in the beach. 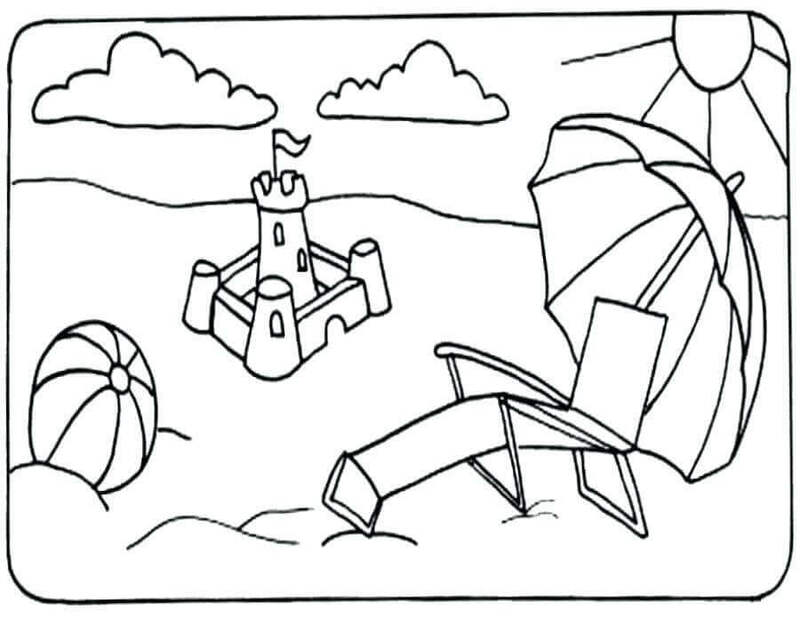 His father is surfing, his mother is getting tanned, and he is preparing a castle for his new empire. In the end, everyone is happy! 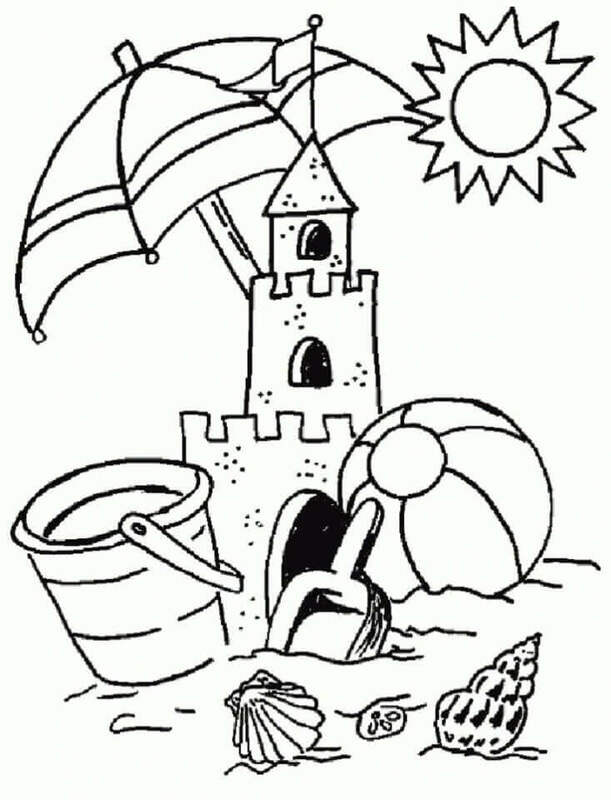 One of the most creative things to be seen on a beach is the sand art, especially in the form of castles. Many kids use buckets and shovels to build them. But be careful not to make it very close to the waves, or the waves will demolish it! Summertime is the peak of tourism season in many countries that have a shoreline. This sums up how the tourists enjoy the sea-side refreshments. Speed boating, water sports, castle-building, Frisbee catching, and lying down for a tan, all of these things make a crowded beach a perfect place to enjoy! 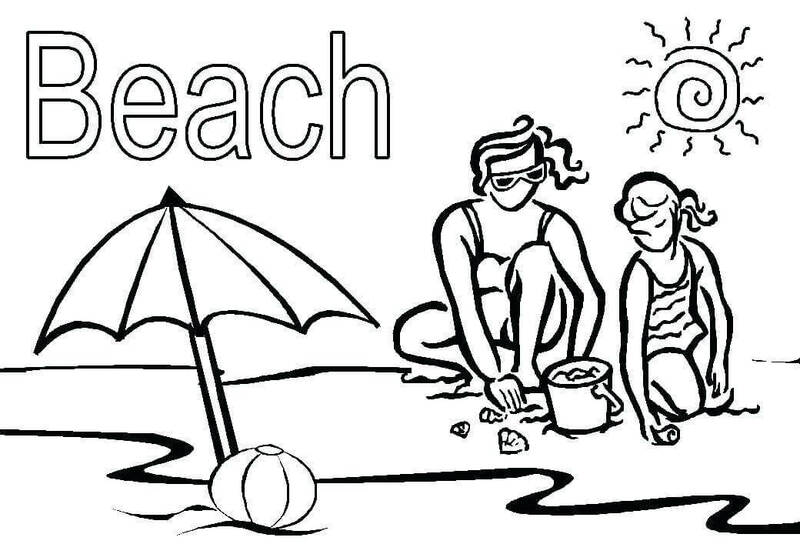 When going to a beach, make sure you take a mat or sheet, some water, shovels and buckets, sunscreen lotion, and a towel. If you plan to collect shells shown, make sure you also get a pouch or bag! And capture your moments in a camera you choose to bring along. The pleasantly cool water of the seas provides the much-needed relief from the scorching sun. 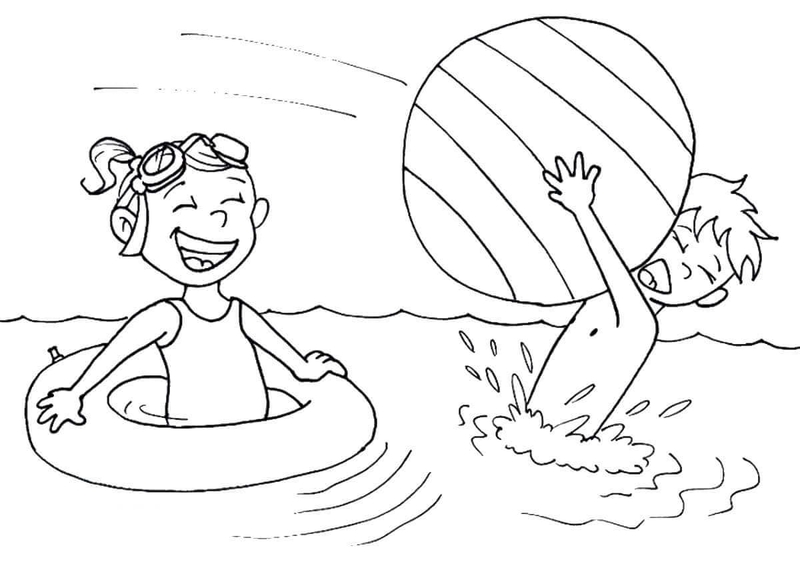 Kids love to play in the water for this reason. Another reason is the heaving effect of the waves. Here the kids enjoy floating in the ever-moving waters. Color them in cool colors! Many people prefer playing beach volleyball or football on the sand. But Jake here is playing water polo. It is mostly played in swimming pools. It is a challenging game, and the turbulent waters add to the challenge. Would you play with him? Families love visiting the beach. It provides the working parents some quality bonding time with the kids, and kids have fun seeing the fun side of their parents. Here we see the Kimmich family from Germany in Brazil. Color them in colors of joy! The first thing that comes to mind when one says “Beach” is its golden sand. Softened by the salty water, it keeps moving with the waves. In the process, it sometimes hides starfish, other times seashells. Here we see a collection of all of them. Due to the difference in temperature of water and land, there is a pressure difference in the atmosphere leading to on-shore winds. This keeps the beach windy and refreshing during the daytime. That is the reason Tony is enjoying these sea breezes with his balloons. Beaches can be enjoyed by people and cartoons alike. Apparently, Mickey Mouse’s nephews have come to enjoy the beach. Beaches have a positive vibe as it is disconnected from the hectic lives in cities. That is why kids love to play here! 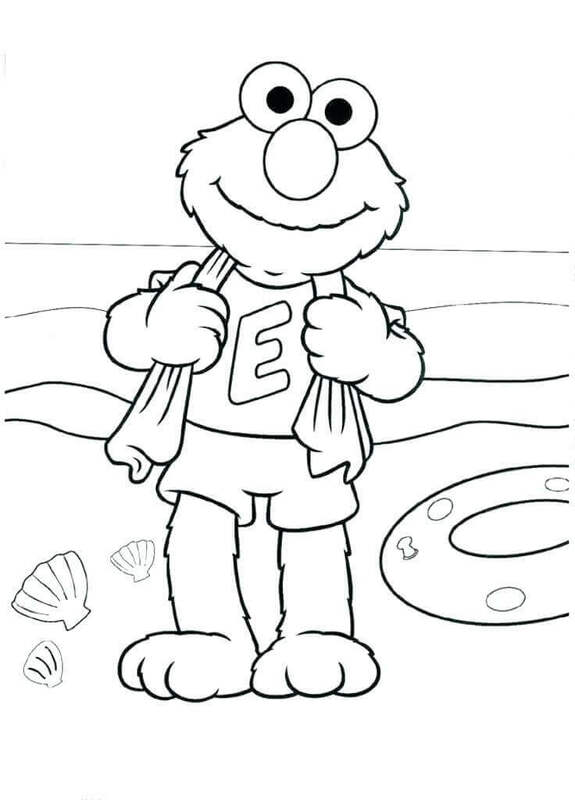 Elmo, the character of Sesame Street, has just come out of the water. That is why he is using a towel. The towel is the most essential thing to be taken to a beach. Getting into the water can be the most tempting activity on the beach. Elmo was wise to be prepared for such a temptation! The moist sand is easy to cast and shape, and can be given the shape of an open container. 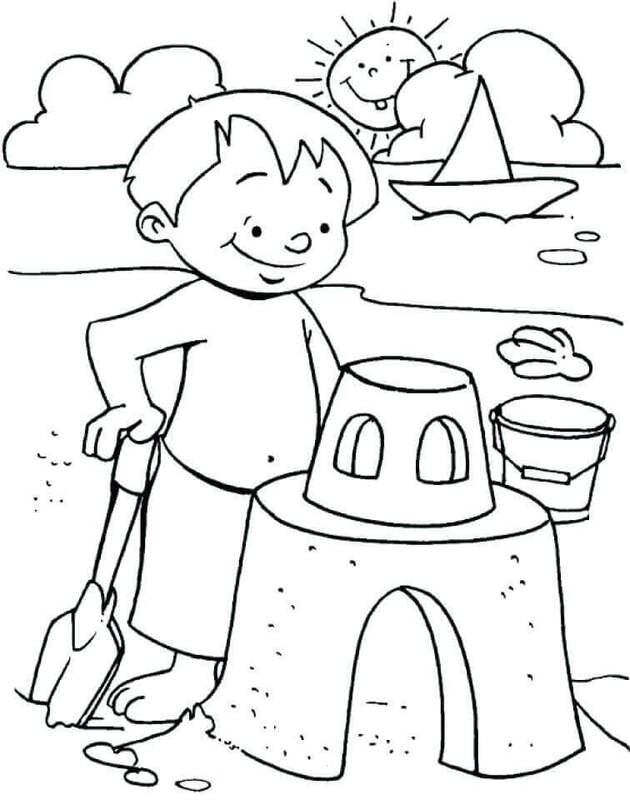 Using buckets of different sizes, shovel, and hands, a terrific sand castle has been built. The flag at the top indicates the owner’s insignia. What should be its color? Some beaches are not as renowned as the others. Such beaches offer the quietness and peace that crowded beaches don’t provide. The Morgans preferred such a beach to relax. Kids are playing, the missus is lying down, and mister is trying to get his chair straight! Kyle dreams to become a famous architect like his father. For that, he has to understand how the buildings should look inside out. That is why he is taking the beach time so seriously. What do you think? Will he become a famous architect? Hawaii is a US State, an isolated volcanic island, famous for its volcanoes and beaches. 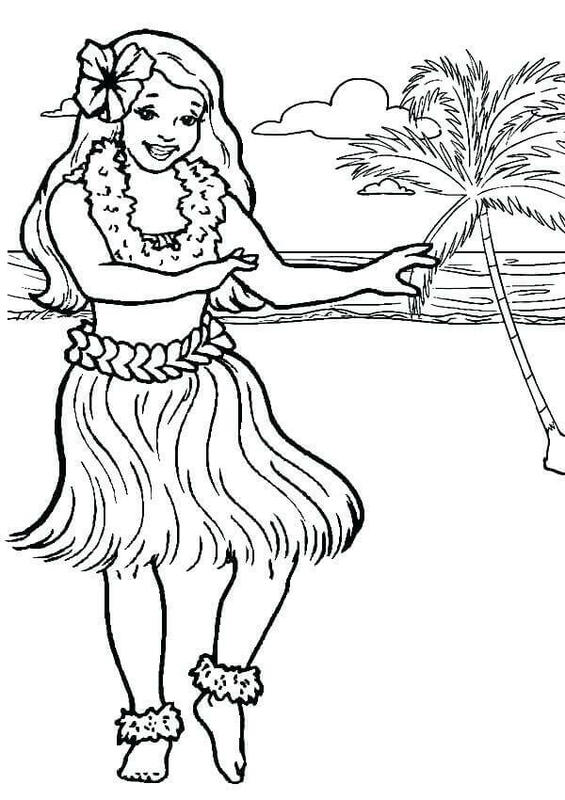 Another thing notable about Hawaii is the Hula dance that the Hawaiian girls do in their traditional outfits and garlands. Can you do this move? Many people capture their memories at the beach in the form of photographs, and turn them into postcards to send it to others. 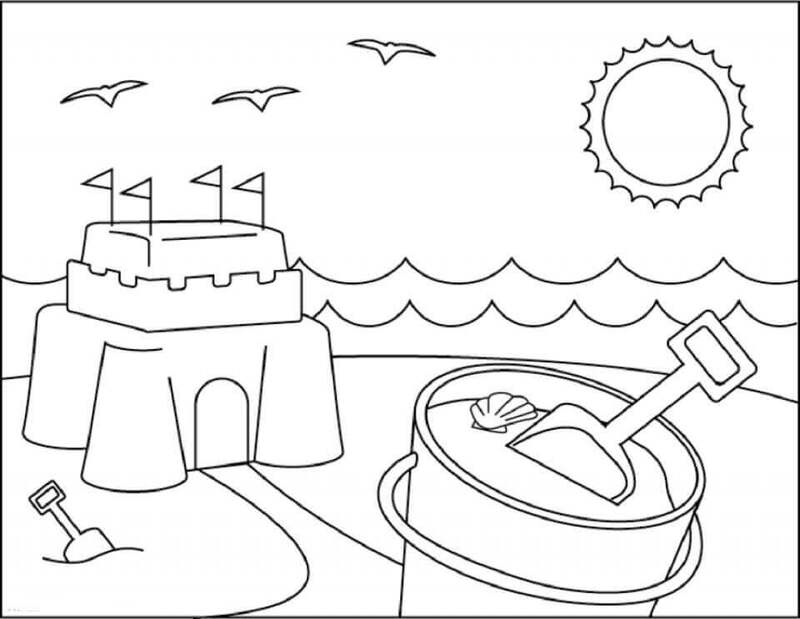 This is one such postcard showing a sand castle, a bucket full of sand and seashell, calm waters, and the bright sun. Color it as it should look according to you! Lighthouses were meant to be a guide to the sailing ships in the olden days. Nowadays, they serve as picturesque structures and places worth visiting the beach. Here is one such lighthouse turned into a tourist destination as it is next to the beach. How beautiful will the view be from the top? Have you ever been to a beach? If not, plan your next vacation and visit a beach! Witness the glory when the seas meet the land over the grainy sand. Get in the water, fight against the waves, build sand castles, collect seashells, make some memories, and don’t forget to have fun! 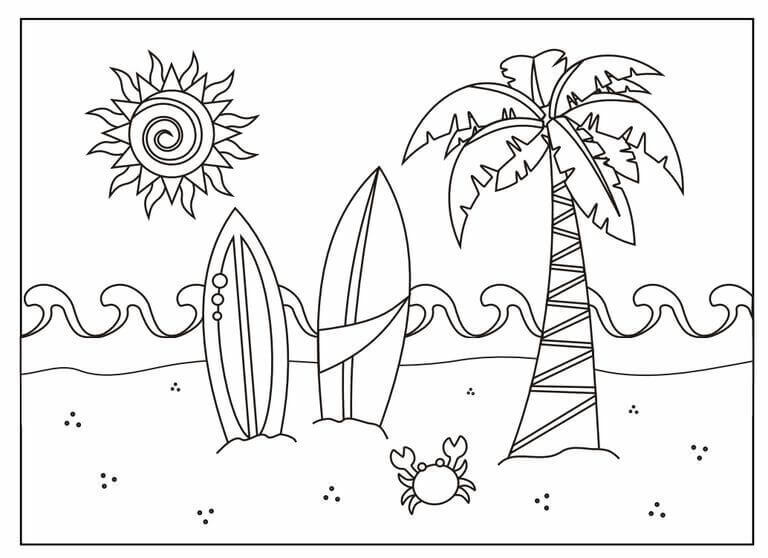 While you plan your visit, print these free printable beach coloring pages and color them up! 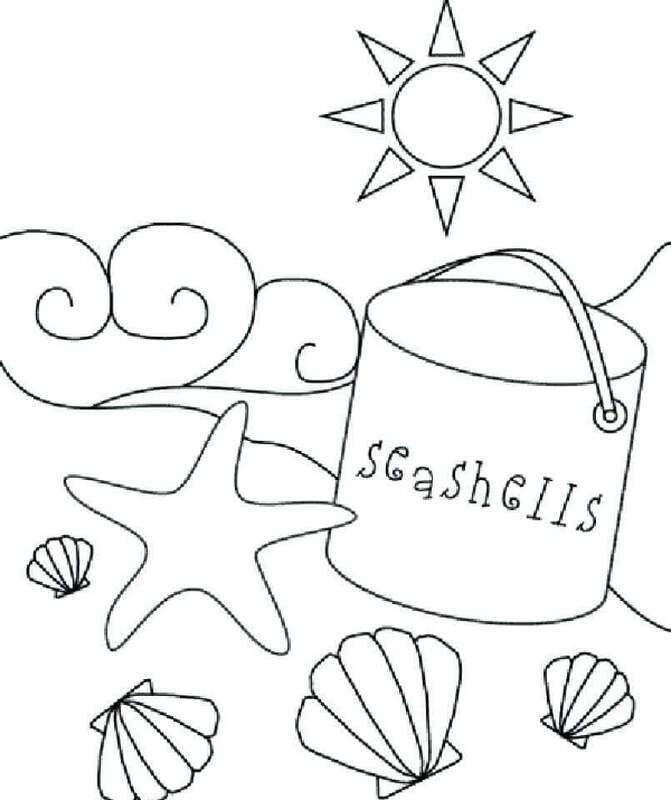 We’d even love to know your favorite beach coloring sheets.